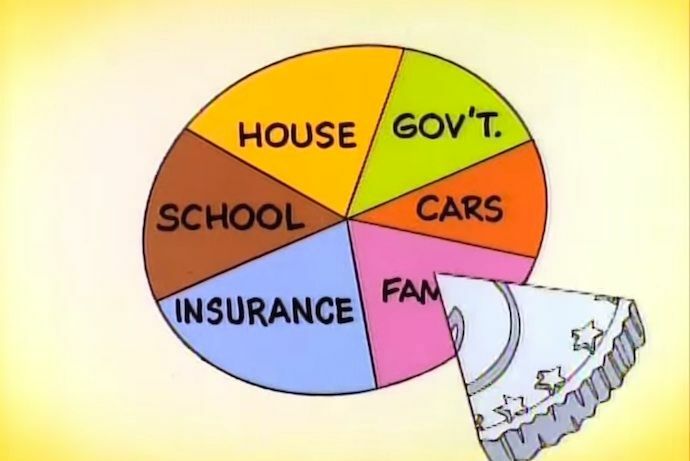 Schoolhouse Rock: Where the Money Goes. Perfect for tax day! When I have to explain a concept to my kids, there are so many awesome educational videos out there on all kinds of subjects, but I admit, I often still turn to the Schoolhouse Rock videos I grew up with as a kid. Today we’re watching Where the Money Goes, in which the awesome Jack Sheldon as the dad, explains to his tuba-playing son why he doesn’t have enough money to send him on a band trip by describing a family’s monthly expenses. In time though, he realizes wait, maybe we do have the money — then lists some of the things kids can do to help find money. Like turning off the lights, getting a part-time job, or spending less. Of course a few of the references are dated (talking on a landline too long, seeing a teller at the bank) but it doesn’t matter. The message of “earn a little here, save a little there” is a great one for kids. 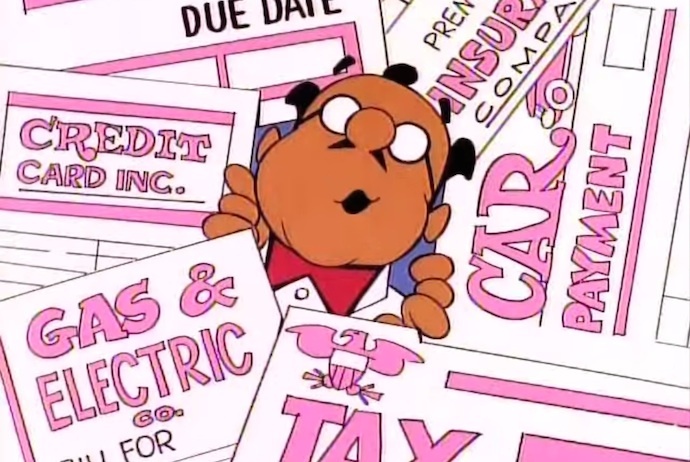 And I’d definitely recommend watching this one over Schoolhouse Rock’s Vaudeville style Taxman Max which, while it does the job, is one of the few duds they put out. It’s not quite as painful as doing taxes themselves, but to me it comes close. Check out Schoolhouse Rock: Where the Money Goes and the rest of their great videos on YouTube.